YouthLink Scotland is the national agency for youth work. It is a membership organisation championing the role and value of the youth work sector, challenging government at national and local level to invest in the development of the sector. 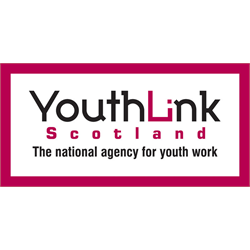 YouthLink Scotland is seeking to recruit a motivated individual into the post of Policy and Research Manager. The post holder will lead the development of youth work policies and strategies impacting on young people’s lives at national and local levels. It will embed the policy and research function within YouthLink Scotland’s Strategic Plan. The post-holder will be responsible for developing the policy and research function of the organisation. They will co-develop the National Youth Work Strategy and implementation plan. The company offers a 9.5% non-contributory pension scheme. The post will be based at the YouthLink Scotland offices in Edinburgh. The normal working week is 35 hours. By its nature, the post will sometimes require work to be undertaken during evenings and weekends. Annual holiday entitlement is 25 days plus 12 public holidays. YouthLink Scotland is an equal opportunities employer.